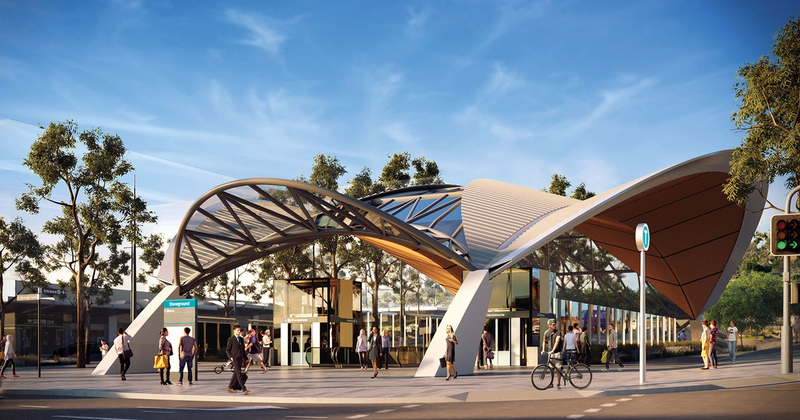 Sydney Metro has unveiled the seventh of eight train station designs by Hassell for Sydney Metro Northwest with one further station design plan to be revealed. Rouse Hill station (below) is one of two elevated stations on the train line and will sit more than 12 metres above the ground as part of the four-kilometre sky train. 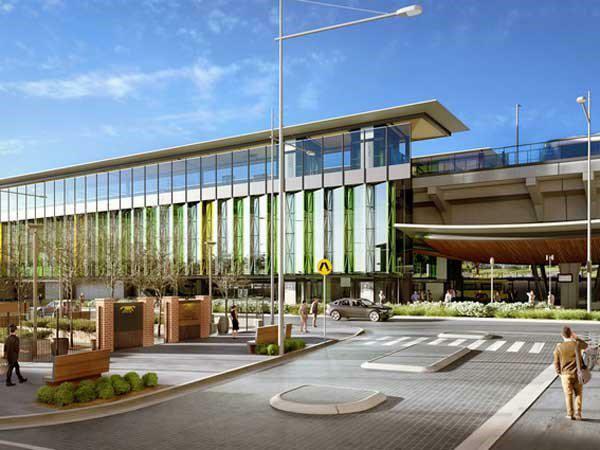 Designs for other stations on the Northwest line – Cherrybrook, Castle Hill, Showground, Norwest, Bella Vista and Cudgegong Road – have already been released, with the design for Kellyville, the second elevated station, still to come, according to ArchitectureAU. 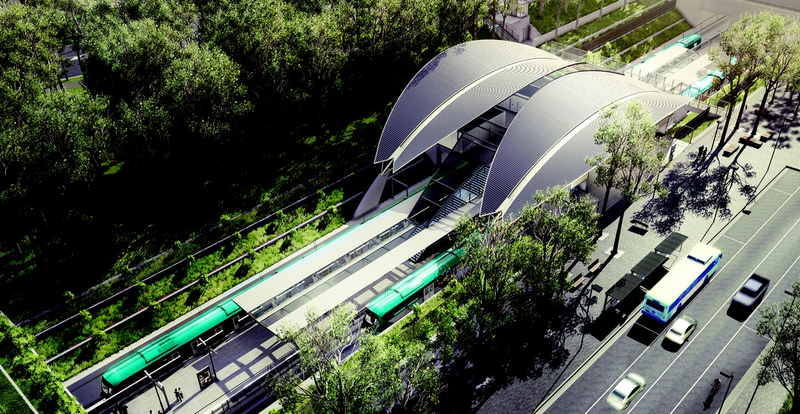 Source: Sydney Metro[/caption]Under a $3.7 billion agreement, Northwest Rapid Transit will deliver Sydney Metro Northwest. Delivery involves the installation of 23 kilometres of new track and rail systems, eight railway stations, 4000 commuter car parking spaces and the conversion of 13 kilometres of railway to metro usage. Hassell has designed all of the Sydney Metro Northwest stations with customers front of mind. The station designs include easy access with lifts and escalators, weather protection and maximum natural light. Rouse Hill Station designed by Hassell. 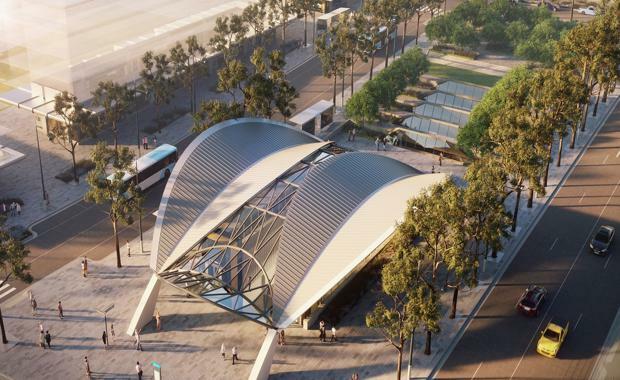 Source: Sydney Metro[/caption]Each Sydney Metro station will feature platform screen doors to ensure objects such as prams are kept away from the edge and to allow trains to travel at faster speeds. Rouse Hill Station by Hassell. Source: Sydney Metro[/caption]Customers are at the centre of all Sydney Metro's stations, which are being designed to be an easy part of daily journeys. State-of-the-art technology will keep customers connected – from planning a journey from home using smart phone travel apps to real time information at metro stations and on board trains. The modern stations will be fully accessible for people with a disability, prams and children. Customer service assistants will be at every station and will also move through the Sydney Metro network during the day and night. Underground stations stations such as Crows Nest, Barangaroo, Castle Hill and Showground are built underground in tunnels using a ‘cut and cover’ approach. Open cut stations such as Cherrybrook, Bella Vista and Cudgegong Road are built as open cut stations. They are open to the sky, but below ground level. Elevated stations such as Kellyville and Rouse Hill are elevated stations on the skytrain. to Sydney’s growing North West. Trains will run every four minutes in the peak, that's 15 trains an hour. Customers won’t need a timetable, they will just turn up and go. 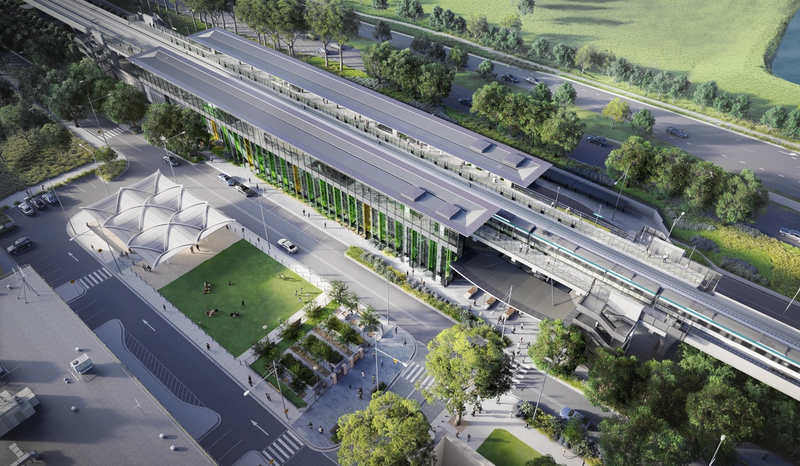 will be the first fully-automated metro rail system in Australia. Sydney Metro City & Southwest is the second stage. Information from Sydney Metro and ArchitectureAU.